You don’t know the person. You’ve never met them before. You can’t see their reactions or gauge their interest level. There is something about it being the 1st round of interviews, your first interaction and communication with the company, and not being face to face that is a deadly combination. You feel the pressure to “make it” to the next round. But don’t worry you can become a master of the phone interview with a little practice. You just need to remember a few simple tips and practice before your next interview. As “they” say practice makes perfect. Pick a quiet place where you won’t be interrupted. It’s difficult enough to hear and understand people over the phone don’t make it harder than it has to be by taking your interview outside on the street, or in a crowded area. 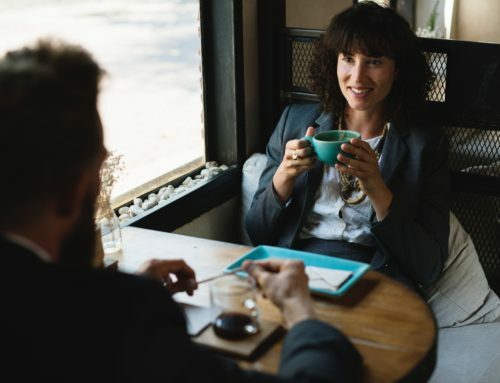 Not only will picking the right location make the interview easier for you, it will make it easier for the person interviewing you ensuring there is no noise on your end of the phone call. No buses, cyclists, or trains passing in the background, or the myriad of other sounds that can distract someone on a phone call. Do everything you can to minimize any distractions on your end that could affect your interview or distract your interview on the other end of the phone. In 2017 the majority of phone interviews take place on a candidate’s mobile device. If you are using your cell phone you want to make sure of a few things. First, is the device fully charged and will the charge will last the duration of the call? Second, turn the ringer on so you are able to hear it when the call comes through. You don’t want to miss the call simply for having your phone on silent. Many people sit at their desks all day with their phone on silent as to not disturb the rest of the office if it goes off, so this might seem simple but is very important. Third, make sure that the location you have selected has good lasting service for your phone or wifi connection if you are using an app to make the call. Do not be driving from cell tower to tower and risk losing a connection. Now if you are going to go a bit old school and use a landline for your interview, that’s great! Landlines are significantly more reliable than mobile devices so you will be sure of the lasting connection and power abilities. But make sure that wherever the landline is located will not be a distraction for you. The most obvious choice would be at home, but depending on the time of the interview that could be problematic. Make sure there are no young children, pets, etc. around to distract you. Make sure you do everything possible to prepare and practice your interviewing skills before it’s time for the actual interview. Practice makes perfect and phone interviews can easily be practiced with a friend on the other end of the line and a few generic interview questions like these. The more you practice the more comfortable you will be when the time for the interview comes. Block off time before and after the interview for a time buffer. Interviews require planning for the interviewer and interviewee and rescheduling them can be difficult and inconvenient. Make sure you are ready to take the call 5-10 minutes before your scheduled time and have 15 minutes after the call just in case things run long. Missing the call can be disastrous for your interview, so make sure the ringer is turned on and the volume is turned up and you have the phone nearby so you can answer quickly. Almost as important as the phone interview is the follow-up process that happens after you hang up. Depending on who you interview with, HR, hiring manager, upper management, etc. you may or may not have a specific email address to send a follow-up note to or a hand-written note. Make sure that after every interview stage you send a personalized thank you note to your interview. If you don’t have the contact information for the specific person you interviewed with send the note to your HR contact and ask them to forward it to the appropriate party. This will show that you are serious about your interest in the position and company, and your note should cite specific things that you discussed during your interview, that way you can show you were listening and engaged with the process. With a market flooded with talented and qualified applicants you want to do everything you can to stand out from the crowd, so make it personal. Smile while you talk, it makes a difference. Your interviewer doesn’t have any physical or facial cues to go off of during a phone interview like they would during an in-person interview. So make sure you smile while talking, you’ll come off as positive and they will be able to hear the difference in your tone. Remember this is your first impression with the interviewer and with the company in general. You want to make sure you present yourself as well as possible. 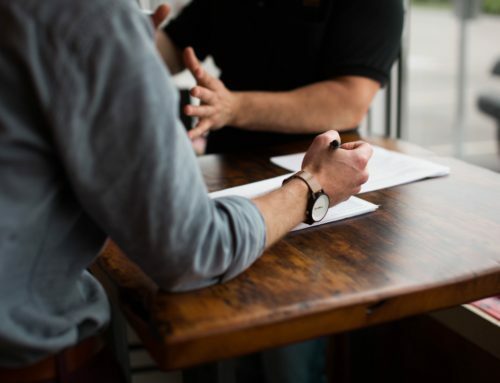 If everything goes well with the interview this will be the first step in your hiring process so you want to make sure that you do everything in your power to land the job from the beginning. Also, make sure you know the goal of the interview before it takes place. Do you want to learn more about the position? About the company? Do you want to get through to the next round? Want to see what other options are out there besides your current position? Everyone has different motives when it comes to interviews, know what yours are so you can be adequately prepared. Stand up and walk around, get comfortable. To keep your energy up throughout the duration of the call stand up and walk around, the energy in your voice will respond likewise. If you just sit on a chair, couch, or in the car you will lose some of the energy and momentum you could have had otherwise, again affecting your first impression. 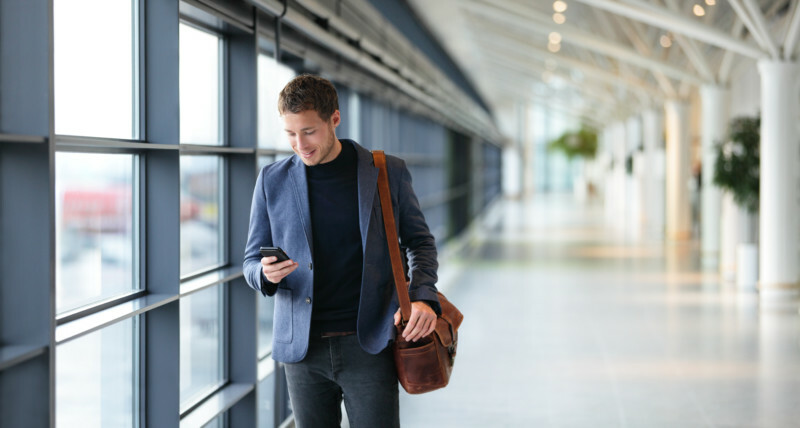 One of the major advantages of conducting your interview on a mobile device is being able to get up and walk around during the interview to keep yourself from having a monotone speaking voice. Here are a few simple suggestions for what to do to keep moving during your phone interview. Stand in front of a mirror and smile and see how your face reacts. Need to feel a bit more confident during the interview? Wear an outfit that makes you feel confident. Stand in a position of power, (like a superhero) for a few minutes before and during your interview. We know this one sounds a bit silly but you might be surprised by the benefits. Be prepared to listen, and follow verbal cues of when to talk. Knowing when to listen and when to talk in a conversation can be challenging even in the best situation. If you are sitting around the dinner table with your family or hanging out in the city with your friends and you talk over each other you probably don’t even think twice about it. 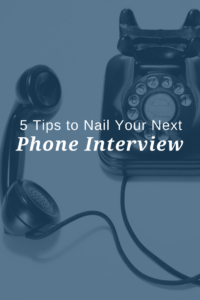 However, in an interview that can get awkward really quick, and it is even more difficult on the phone. The key to avoiding any awkwardness when interviewing on the phone is practice. Practice will allow you to feel comfortable going into the conversation. Even if you don’t know the exact questions that you will be asked, you will feel confident in your ability to answer whatever an interviewer throws your way. Interviews are about listening as much as they are about talking. A good listener understands the question and is comfortable asking a clarifying question. Don’t be afraid to ask questions, it shows that you are engaged in the conversation and truly trying to understand the situation. When giving your responses start, stop and ask “did that answer your question or did you need me to explain further” just to make sure everything is covered. Interviews are also the perfect opportunity for you to ask questions and make the interviewer do the talking. Take advantage of their wealth of knowledge and make sure to have a few questions prepared for the end that you can ask to learn more. 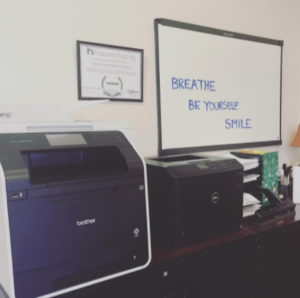 Overall remember to BREATHE and be yourself. We even have a nice reminder of that in our office for when we have candidates interview here. Good Luck on your next interview! Let us know how it goes. What Type of Interviewee Are You? Interviewing? How are your intangibles?